Berlin (AFP) - Germany's foreign minister said Tuesday that Vienna talks on Syria are a first "serious attempt to break the spiral of increasing violence and chaos", but dampened hopes for quick solutions. 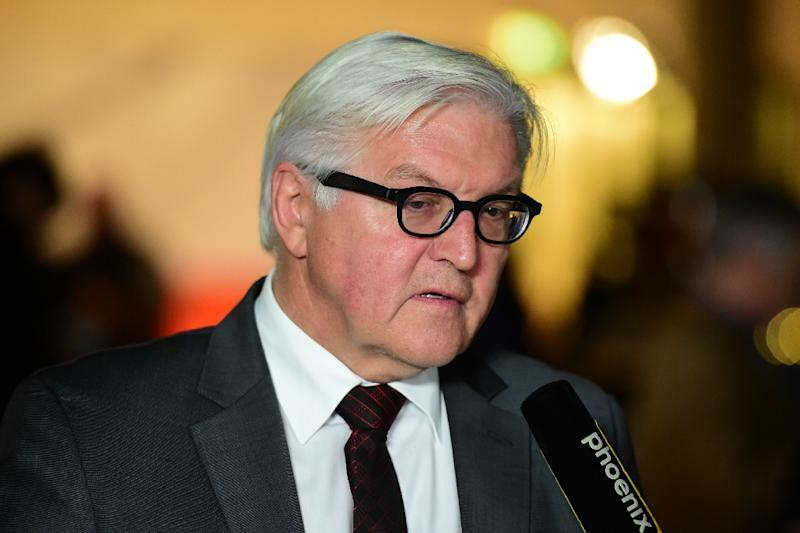 "In Syria, after five years of civil war and more than 250,000 dead, there are finally first steps in the search for a solution," said Frank-Walter Steinmeier in Berlin. He stressed, ahead of international talks in the Austrian capital Saturday, that "there is no reason for optimism, let alone euphoria". But Steinmeier also recalled that only weeks ago, the idea of getting regional rivals Iran and Saudi Arabia to sit at the same table had seemed elusive. "This shows us that to at least make a serious attempt to break the spiral of increasing violence and chaos is worthwhile," he said in a speech to political institute the Koerber Foundation. He cautioned that "the meeting certainly won't bring peace to Syria tomorrow", but added that first steps had been taken toward a partial de-escalation of the conflict. "Of course, all this is just a start," he said. "But it is hopefully the start of an effective process that can finally curb the cynical dynamics of the proxy rivalries." US Secretary of State John Kerry will join Saturday's meeting, as will representatives from Russia, Iran, Saudi Arabia and Turkey. But neither President Bashar al-Assad's regime nor the Syrian opposition are expected to attend at this stage, US officials said. The talks' goal is to agree on a framework for setting up a ceasefire and a transitional government, which would free up the Syrian factions and their foreign backers to concentrate on the Islamic State jihadist group and organise elections overseen by the UN. Washington and its Arab allies want Assad to step aside, while Moscow and Tehran insist their ally's fate is a matter for his own electorate.